The Tulip Tree Gar­den was installed in the fall of 2009 by an Envi­ron­men­tal Sci­ence class. 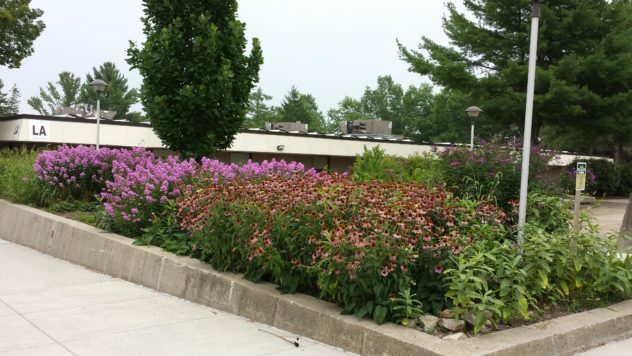 Pre­vi­ous­ly, the site con­tained most­ly lawn, with a few shrubs and flow­ers. 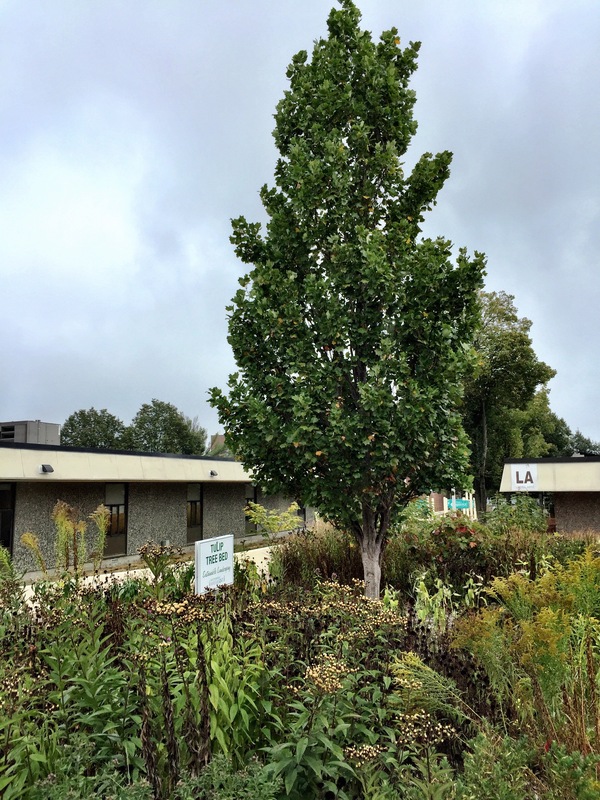 The stu­dents chose to design a more for­mal gar­den, with flow­ers in con­cen­tric cir­cles around a tulip tree (Liri­o­den­dron tulipfera), a beau­ti­ful native tree with tulip-shaped flow­ers. This gar­den teach­es the impor­tance of a nat­u­ral­is­tic design in sus­tain­able land­scap­ing. The for­mal design requires more human inter­ven­tion to main­tain the geom­e­try, and small changes, such as a plant that dies back or the emer­gence of a seedling, instant­ly appears unkempt. Thus we have cho­sen to let the gar­den con­tin­ue to evolve, allow­ing plants to grow and seed into new areas.